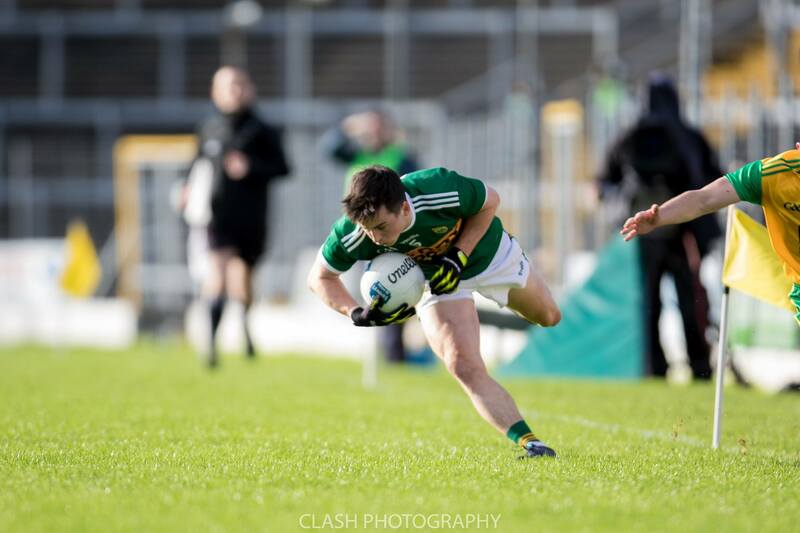 Kerry recorded a one point win over Donegal in the opening round of the 2018 Allianz Football League in what was an enthralling encounter in Fitzgerald Stadium. Donegal got the game underway with a Jamie Brennan point with just over 30 seconds played. A quick response from Kerry’s Barry John Keane levelled matters in the third minute. After 18 minutes played, Stephen O Brien managed to burst through the Donegal defence, latch onto a pass from David Clifford and the Kenmare man hit low into the net. Paddy McBrearty made the most of the two minutes of additional time as he cut Kerry’s lead back down to three points just before the half time whistle leaving the scoreboard 1-08 to 0-08 at the break. Like the first half Donegal started brighter managing 1-1 within 3 minutes. However a resilient Paul Geaney had the home side back in it as he netted a goal in the 62nd minute. Further scores from Stephen O’Brien, Seán Ó Sé and Killian Spillane had the home side ahead by two points. However the tenacious Darrach O Connor’s goal in the 71st minute gave Donegal a one point margin in additional time. A crucial Seán Ó Sé free in the 73rd minute had Kerry back in it with both teams now pushing for the winning score. Daithi Casey burst his way through the Donegal defence and pointed into the Dr Crokes end in the 75th minute sending the Kerry supporters home happy. Full-time score Kerry 2-18 Donegal 3-14. Good weather and an excitement surrounding this new look Kerry team brought the Kerry fans out in huge numbers, there was also a large contingent down from Donegal. The official attendance was 10977. London Rose Caoimhe Gallagher sang the National Anthem superbly. Our thanks to the Fitzgerald Stadium Committee and all the stewards for the organisation and management of the occasion. In other games last weekend, in Division 1 there were wins for Galway, Dublin and Mayo. Our Round 2 game is on Saturday when we face Mayo in Elvery’s MacHale Park at 7pm. The Kerry team will be wearing the new ‘Away’ Jersey. The ‘Home’ jersey has been a great success and people were delighted last Sunday with the number visibility. Paul Galvin and O’Neills have done an equally superb job with the ‘Away’ jersey and we are looking forward to seeing the jersey on Saturday night. Tickets are on sale now in SuperValu and Centra outlets around the county as well as in the Kerry GAA Store, Killarney. Buying your ticket before midnight on Saturday night will save you €3. Tickets are priced at €15 for adults if purchased on Sunday and free entry for U16s. As always we ask those attending the game to follow the advice of the Gardaí and stewards working at the grounds.